Standard mobile network rates apply when sending in your question. Free promo texts may be sent. To opt out, text DJSTOP to 85358. The first time you use the service you will be sent a free message asking you to confirm your first name and date of birth (over 18 only). 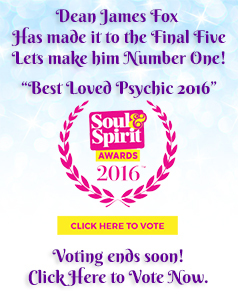 If you need further information or have any questions, please contact my helpdesk: info@allstarpsychics.co.uk. Due to regulations, we are not allowed to comment on health, pregnancy, legal or financial related questions. Responses back to your handset can vary as the number of people using our service changes on a daily basis. Don't worry if you haven't received a response straight away, our psychics will get back to you! Are there any certain questions I can't ask? Yes, we cannot answer any questions on health, pregnancy or finance - So don't ask us for this week's lottery numbers! Text readings are suitable for quick questions or for those on the move. If you require a more in depth Mediumship reading, I suggest calling one of my talented phone readers. We always try and give the best readings possible, so this may mean up to 3 message responses per question you ask us. A message response is charged at £1.00 (160 characters), max 3 replies. Please remember that this is a premium SMS service, so the charges will not be included in your Phone Network bundle. You must be over 18 and have the bill payers permission.